Dryer Vent Cleaning Oakdale, California 209-565-2149 Dryer vent cleaning, dryer vent repair, dryer vent installation, Stanislaus County, Modesto, Oakdale, Riverbank, Waterford, Ceres, Turlock, Patterson, Grayson, Hughson, Newman, Salida, Keyes, San Joaquin County, Tracy, Stockton, Manteca, Lodi, Lathrup, Escalon, Ripon, and neighboring cities and communities. Your clothes dryer is among the top 5 energy consumers in your home. Here are some tips for saving energy when drying laundry. Whether your dryer is gas or electric, both operate the same, drying your laundry by heating and tumbling. Both require proper air flow to avoid over-working and to accomplish this task efficiently. Proper dryer vent cleaning and maintenance ensures proper air-flow, which is most vital to avoid overworking the clothes dryer and to prevent a potential fire hazard. When the dryer vent system is clogged with lint, it will obstruct air-flow, cause severe overheating, and eventually, a fire. Dryer vent cleaning, by a dryer vent specialist, is recommended at least once a year; more often if you have a large family. Most everyone knows to clean the lint filter after every load; however, few are aware that the lint screen should be washed in warm, soapy water periodically. The use of fabric softener sheets, like Bounce, can cause a film to build up on the lint screen. This will restrict air flow needed for your dryer to work efficiently. Try to only do full loads of laundry; small loads waste a lot of energy that could be used for washing and drying a full load. Be careful not to over load as this will cause the washer and dryer to overwork; additional wear and tear leads to the expense of repairing and/or replacing your appliances. 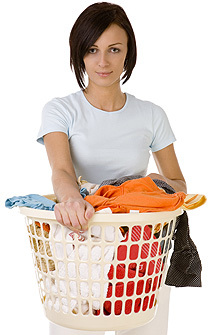 Heavier items, such as jeans and towels naturally take longer to dry than lighter weight items like T-shirts. It has been suggested to dry the different weights separately, but you can also start them together, and stop the dryer to remove the lighter items that are dry, and then take advantage of the already heated drum to dry the rest. This way, you aren’t allowing a cool down between loads; you save the energy that would otherwise be used to heat the drum again. Clothes dryers have become more energy efficient as most new models have dryness sensors so that the dryer automatically moves on to the cool-down cycle or turns off when laundry is dry. The sensors prevent over-drying of clothes which prolongs the life of your clothing while saving energy. When the weather is right, hang laundry outdoors and let Mother Nature’s sun and breeze dry your laundry free. This can be inconvenient for some, but even if you just hang a small amount, like sheets and towels, you will be saving energy. Clothing rods are good for use indoors or outdoors. The clothing rod is a great money saver. You can dry your laundry for a short time, to remove wrinkles, remove your laundry when it is still damp and hang to finish drying. Your clothes dryer is one of the top energy consumers in your home. Reducing the energy cost of doing laundry will help save money on utility bills. Proper appliance maintenance is also a major money saver, saving on utility bills, and appliance repair bills. A well maintained appliance will work more efficiently and have less risk of failure. Dryer Vent Wizard of Oakdale, CA provides CSIA Cedrtified dryer vent cleaning, dryer vent repair, dryer vent installation, dryer vent inspections and all dryer vent services for homes and businesses in Stanislaus County, Modesto, Oakdale, Riverbank, Waterford, Ceres, Turlock, Patterson, Grayson, Hughson, Newman, Salida, Keyes, San Joaquin County, Tracy, Stockton, Manteca, Lodi, Lathrup, Escalon, Ripon, and neighboring cities and communities. 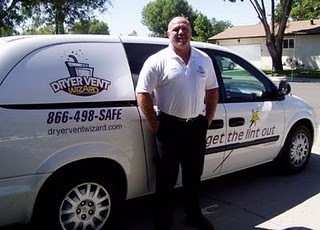 Dryer Vent Wizard provides dryer vent cleaning, dryer vent repair, dryer vent installation, dryer vent inspections and all dryer vent services for homes and businesses in Stanislaus County, Modesto, Oakdale, Riverbank, Waterford, Ceres, Turlock, Patterson, Grayson, Hughson, Newman, Salida, Keyes, Denair, Livermore, San Joaquin County, Tracy, Stockton, Manteca, Lodi, Lathrup, Escalon, Ripon, and neighboring cities and communities.